Personal information and document management system. Is there a better alternative to myVault? Is myVault really the best app in Personal Info Managers category? Will myVault work good on macOS 10.13.4? 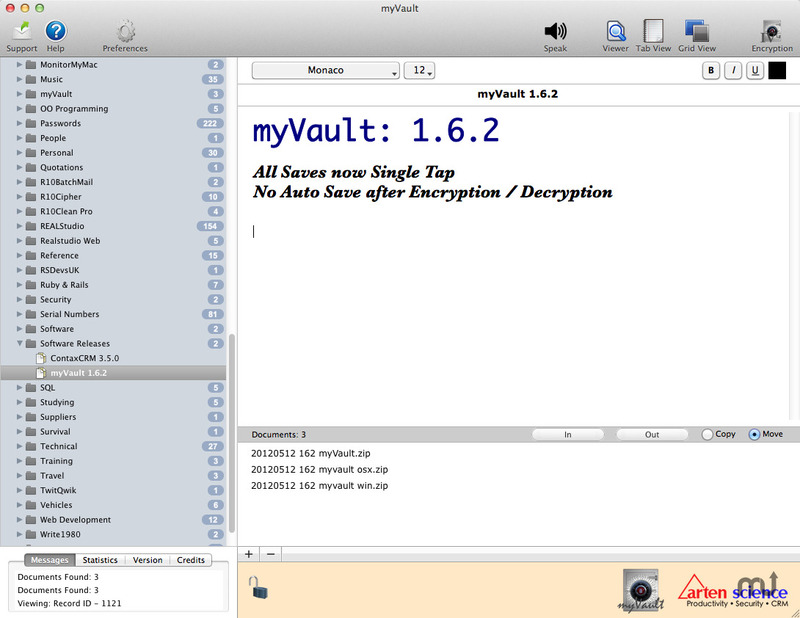 myVault is a Secure Encrypted Personal Information and Document Management System. Sometimes have difficulty finding your notes, documents and files ? Wonder why so many TODO programs but not any HAVEDONE programs ? Need access to your documents, syncronised ? Certain Files - For your eyes only - encrypted but easily accessible ? Need to store credit card numbers and passwords ? You appreciate software with a simple but elegant interface ?